Adam became King David -- Angels in the trees ? WHO SAYS WINNING IS EVERYTHING?? Wednesday & Thursday, beginning May 31, 2017 is the major biblical holiday of Shavuot. On this holiday, we commemorate the giving of the Torah 3329 years ago. Another less known fact is that King David was born and passed away 70 years later, on the first day of the Holiday. After Adam & Eve sinned by eating from the forbidden fruit, instead of people living forever, this disconnect from G-d, as a result of acting against G-ds wishes, brought death upon the earth and the maximum a person could live was 1000 years. One of the important souls significantly affected by Adams sin was the soul of King David which now was meant to die the moment it was born. Adam, taking responsibility for this tragedy asked G-d if he could gift David with some of his own years. G-d responded in the affirmative, so Adam gifted 70 (a very significant and appropriate number) of his own years to King David and instead of living 1000 years lived 930 years. King David asked G-d he wanted to know when he would pass away. G-d told him this was a secret from all man. King David asked if he could just know the day in the year, but not the actual year. G-d did not agree. King David asked if he could know the day of the week, and G-d told him it would be on a Shabbat (Saturday). Every Shabbat, King David would study Torah from the beginning of the Shabbat until the end, knowing that while a person studies Torah, its shielding energy protects even from the Angel of death. After the Shabbat was over, David was sure he would make it through another week and, made a Saturday night meal of thanks to G-d.
As a side bar, this is why there is a very beautiful practice to eat a meal every week after the Shabbat, to commemorate King David’s meal. The deeper meaning of this meal, is that there is a very small (part of a) bone in the back of one’s head, that receives its nutrition only from this meal. This bone does not disintegrate together with the rest of the body. It is from this bone that G-d will resurrect all the bodies when the Mashiach comes. When Adam sinned and brought death to the world it was a Friday afternoon, so while his entire body became influenced by that fruit and now was destined to die, this bone, which only gets its nutrition on Saturday night, remained as G-d intended, to last forever. When it came time for King David to leave the world, the Angel of death created a commotion in some trees and as King David went out to see what was happening he slipped, stopped learning the Torah and the Angel was able to take his soul. What was it about the noise outside that made King David curious? When David just became King and he was fighting the Philistines G-d told him He would come to his aide but he could not fight until he would hear the flapping of the Angels’ wings in the leaves of the cypress trees. David, Avishai, Yoab and all David’s men were hiding in the cave and they heard the Philistines getting closer and closer. David’s men were nudging him to go out and fight but David said he did not yet hear the sound of the Angels. David’s men said they would lose the element of surprise if they were discovered but David still refused to charge out of the cave. The Philistines were so close; the Talmud says David and his men could see their pupils. David’s men said if we don’t fight now we are doomed. 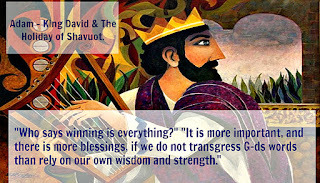 David answered, “Who says winning is everything?” It is more important, and there are more blessings, if we do not transgress G-ds words than rely on our own wisdom and strength. King David passed the test, and restrained all of them from charging out. At that moment there was a great noise from the trees and King David gave the order to attack. Now, together with the help of G-ds Angels they had G-ds blessings AND they subdued the Philistines. It was this same noise that King David heard on that fateful day. Wondering why there would be Angels outside he became curious to see for himself what was going on and as he stepped outside the angel moved one of the steps which caused him to slip and stop his studying of the Torah only for a moment. 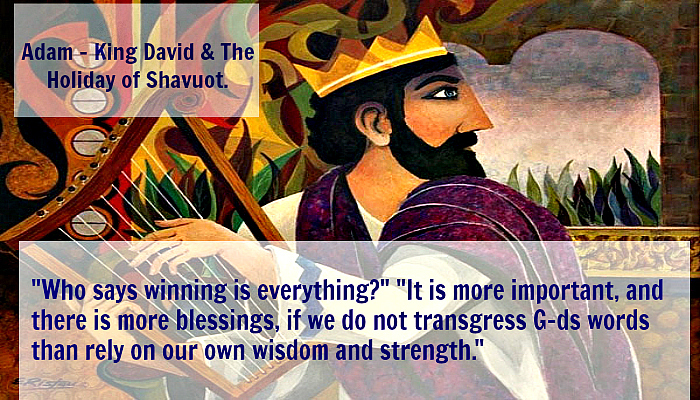 This is one of the reasons it is also a very noble practice to read Psalms on Shavuot, since it is on this day King David’s soul, who composed the Psalms, praises and prayers to G-d, shines brightest. There is much more – but you must come to our classes. How & Why -- do we observe G-ds commandments. Rambam/Maimonides writes; “Although all of the statutes of the Torah are decrees, as we explained in the conclusion of Hilchot Me'ilah, it is fit to meditate upon them and wherever it is possible to provide a reason, one should provide a reason. The Sages of the early generations said that King Solomon understood most of the rationales for all the statutes of the Torah. The principle behind these laws is that the Torah descended to the bottom of a person's thoughts and the scope of his evil inclination. For human nature tends to increase his property and attach importance to his money. 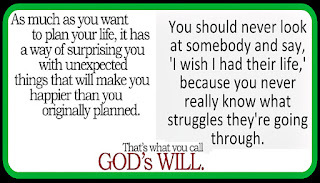 Even though he made a vow or consecrated something, it is possible that he will reconsider, change his mind, and redeem it for less than its worth. Hence the Torah states: "If he redeems it for himself, he must add a fifth." In his introduction to ethics of our fathers, “Eight Chapters” Maimonides writes; When it comes to rational commandments, those directives that any human mind can and does appreciate they are no good, like killing and stealing, a person should always strive to have no attraction to those behaviors, and should always come to the knowledge and feeling of saying “I don’t find it possible to act that way”. However, according to the law mentioned at the beginning of this article, once a person discovers and ascertains a rational and purpose for the observance of ALL commandments, even for the statues in the Torah, he/she would be intellectually satisfied and will feel detested by all those things G-d told us not to do, and will not feel like he wants to do any of those detestable behaviors. How will he be able to approach the statutes as Maimonides recommends, feeling as if he would do the transgression, but is not, ONLY because G-d commanded? 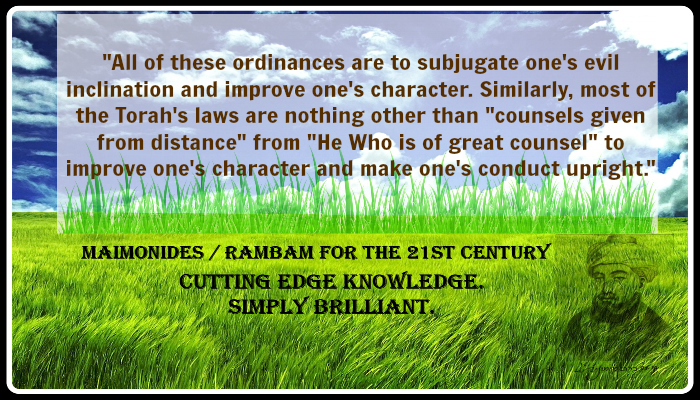 In His guide to the perplexed, Maimonides explains; Although there are commandments that do make rational sense, since it is G-d who is beyond human intellect commanding us, there are always going to be details in law that is beyond comprehension. As far as the commandments that are known as decrees and statutes, the entire foundation and many of the details of the commandment doesn’t lend itself to logic even when some of the details can and should be understood. In both types of commandments, there is the aspect that requires obedience and acceptance of G-ds authority, and there is the area where humans can and therefore should find a personal satisfying rational and self-empowerment. "Logical commandments should be observed with the obedience of statutes, and statutes should be observed with the enthusiasm and personal connection of the rational commandments." 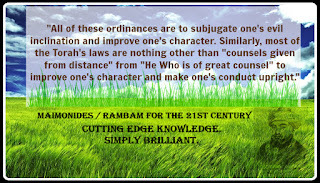 This allows us to enjoy even those statutes that don’t really make much logical sense, and appreciate that even rational commandments are in truth part of our lives only because they are "counsels given from distance" from "He Who is of great counsel" to improve one's character and make one's conduct upright. Elevating & connecting us to a place higher than our finite identities. Everyone, at this present moment, has their greatest opportunities, in the now. It was one year after the High Holiday prayers and a Hasidic Rebbe from Poland, Rabbi Jacob Isaac Horowitz, known as The Seer of Lublin, 1745 - August 15, 1815 -- told his students, he knew exactly what each one asked for in their prayers, and the answer Heaven responded to them. One of the students, challenged the Rabbi to tell him what his private prayers were. Many of us make deals with G-d! G-d can afford everything. 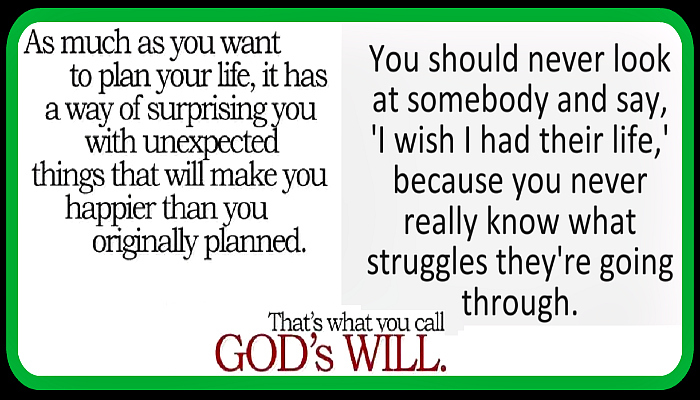 As long as your intentions are sincere, don’t worry how G-d will provide. “There are many emissaries to G-d.” He has a million and one ways, and then one more, to accomplish whatever it is. It is true we must judge by our human senses and pray accordingly. This is a great Mitzvah/good deed for ourselves. Hope and seeing a rosier future also plays a very important role. However, when it comes down to it, (at the end of the day :-) everyone at this present moment has their greatest opportunities, in the now. We must not be so preoccupied with the future that we forget the good intent and purpose G-d presents us with, in the current moment and situation.